Even if your home is your castle you don't necessarily have a moat and a drawbridge in place to keep unwelcome visitors out - but there are a growing number of gadgets on the market that can lend a hand in protecting your house and everything that goes inside it. We've picked out some of the best smart gear on the home security market, covering a variety of price points and purposes - whether you want to keep an eye on the pets or get an alert as soon as someone steps foot on your driveway, you should find something suitable here. Newly unveiled by Google, this home security camera looks like a glorified webcam but is about as intelligent a bit of surveillance kit as you're going to get at this price. You can tune into the live feed from anywhere in the world at any time, and get alerts sent to your phone if suspicious activity is detected in front of the lens. You can stand the camera on a desk or table top or have it mounted on the wall. Google promises that the sophisticated circuitry inside the Nest Cam can tell the difference between a swaying tree and a burglar intent on getting through your patio doors, so if your smartphone does go off then you can be sure it's something serious. There are lots of companies trying to find the right formula as far as smart locks go, but August has one of the best ranges currently on sale. You can control access from your smartphone, easily letting the kids in while you're in the office for example, or giving temporary access to friends and family without having to copy a key. That's because the associated smartphone apps take the place of keys and codes and everything else we've been using to get into our homes up until this point. If you've granted certain people access to your home (like the cleaners) then all they need are their smartphones and the August smart lock will let them in (and notify you at the same time). 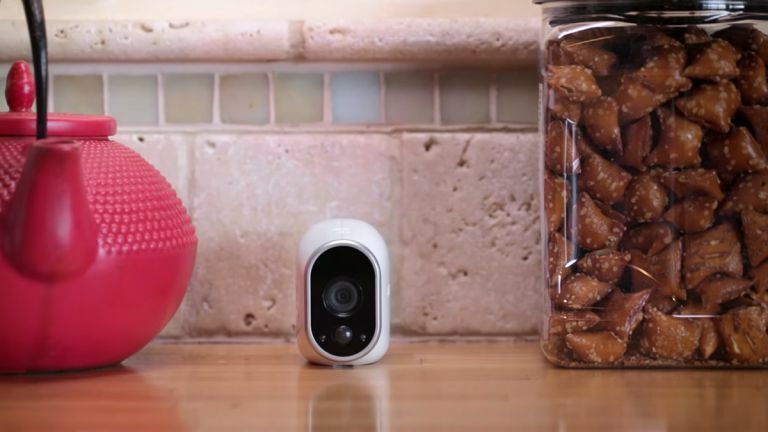 "With Piper, you're always home," promise the makers of Piper, which is similar to Google's Nest Cam. The camera sits on your mantlepiece and keeps an eye on your home, with an extensive 180-degree view and motion-sensing capabilities built in. If something suspicious happens, the footage is sent straight to your smartphone. What's more, your phone lets you pan and tilt the camera view as you look in on your home from anywhere, and the more expensive model in the Piper range include a night vision mode for spotting unwanted visitors in the dark. You can configure up to five Piper cameras on the same home network and thus keep an eye on every room. Let's not forget about the old, established companies in the home security field, such as Yale. The firm has a number of different products and systems available, including this all-in-one package with a set of motion sensors, a smoke alarm, a keyfob for instant access and contacts for doors and windows to detect any intrusion. You can turn your alarm on and off remotely via smartphone, for example, or switch on the upstairs light when movement is detected in the garden, even if you're not at home - exactly what's possible depends on how fully you want to invest in the Tale ecosystem, but it's pretty comprehensive. You are going to have to pay for professional installation in this case though. The iSmartAlarm kit might be a little lacking in terms of aesthetic appeal but it's one of the most comprehensive home security solutions out there - if you have the funds to afford it. It covers cameras, motion sensors, contact sensors, smart switches and more besides, so you can blanket your home in smart security equipment. There are no monthly contracts or fees to pay so once you spend as much or as little as you want on the various gadgets you can put your wallet away. You can even configure iSmartAlarm to recognise when certain members of the family are at home or out thanks to the company's smart tags (your teenage kids will no doubt love it). Arlo (from Netgear) is also based around always-on security cameras, and you can chose one, two or three depending on your needs and budget. Everything is wireless and managed via a smart home base station and you should be able to get up and running with it in a few minutes - it's a good choice if simplicity matters to you. As with the likes of the Nest Cam and Piper, you can then tap into your video feeds from anywhere using the supplied smartphone apps. As there are no wires you can position the cameras anywhere: they're waterproof so they can even go outdoors if you need to keep an eye on the back garden or the driveway while you're out.